Letters From A Tapehead: Mothlite: "Seeing in the Dark"
Mothlite: "Seeing in the Dark"
Something subtle and light, though quietly intense. Mothlite, (a.k.a Daniel Sullivan), will be releasing "Seeing in the Dark" as a single on August 13th. His band's 2012 LP, Dark Ages, is available. All info comes courtesy of Sure Shot PR. 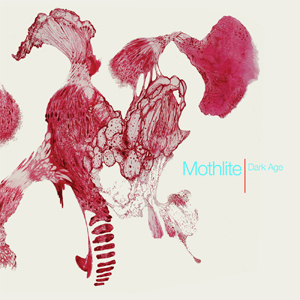 Seeing In The Dark, the new single from Mothlite, is released on Kscope on August 13th. Mothlite is the brainchild of Daniel O’Sullivan (Ulver, Æthenor, Miracle, Grumbling Fur) and the single is taken from Dark Age, the band's second album which was released earlier this year on Kscope. Now the album is done, O’Sullivan is ready to move onto new things. “To be honest, I’m really glad that it’s over,” he says. “I felt like I couldn’t move until I got that out there.” Work has already started on a new Mothlite record and gigs are in the process of being booked for a tour later this year following a successful album launch gig which Prog described as scaling 'magical heights, this is eclectic art rock taken to the next level'.